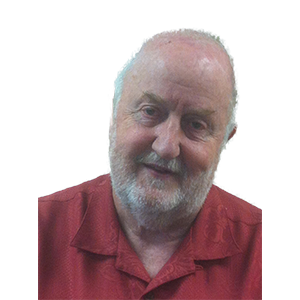 Dr. Ronald Schmidt – D. L. Newslow & Associates, Inc.
Dr. Schmidt, Professor Emeritus (Retired), Food Science & Human Nutrition Dept., University of Florida, has had a productive career of over 35 years in teaching, research, and extension. He is well known and recognized for his undergraduate and graduate teaching in Food Science, Food Chemistry, Proteins and Enzymes, Food Analysis, Food Safety & Sanitation, HACCP, and Food Regulations. Ron’s expertise knows no boundaries in all the areas of food science and the food industry including: dairy, citrus, egg products, fruits, juices and beverages, fresh produce, meats and poultry, and retail foods. As a UF Food Science Extension Specialist, Ron worked closely with both industry and regulatory professionals in food processing and in retail foods, and has presented numerous out-reach seminars and workshops for these professionals, as well as consumer groups. Dr. Schmidt has authored/coauthored numerous publications, books, and book chapters, and has been a prolific lecturer at scientific and professional meetings and public venues. Prior to his academic career, Dr. Schmidt has had regulatory experience with the US Public Health Service (USPHS)/Food and Drug Administration (FDA). As a PHS commissioned officer, Ron was involved in providing federal oversight and implementation of federal/state cooperative programs including the regulation/inspection of fluid milk and milk products under the National Conference on Interstate Milk Shipment (NCIMS), and the regulation/inspection programs for retail foods and food service. Ron also provided regulatory inspection of federal cafeterias, as well as food production facilities providing meals for interstate travel under the Interstate Carrier Sanitation Program. Throughout his career, Ron has maintained strong leadership and involvement with the food regulatory community. He was elected and served two terms on the NCIMS Executive Board. In addition, Ron has had a long time involvement with 3-A Sanitary Standards, Inc. (3-ASSI), a third party standards organization. Through input from regulatory personnel, equipment manufacturers, and food processors, 3-A SSI develops 3-A Sanitary Standards for hygienic design and construction of food equipment and verifies conformance with these standards, and guidelines (3-A Accepted Practices) for the sanitary manufacture of food products using 3-A Standards. Ron served as the Academic Representative on the 3-A Committee on Sanitary Procedures for more than 25 years, has been a member of the Board of Directors for more than 10 years and has served as Chairperson from 2010 to 2012. He was instrumental in developing a 3-A student travel scholarship program, which provides funding for student to attend the 3-A Annual Meeting, has been actively involved in developing educational programs, and has been actively involved in implementing the Third Party Verification program, whereby individuals are trained and certified to perform equipment verification for conformance to 3-A standards.